We’d cross Bridges for EofE! On November 15th, EofE returned to Birmingham for their very own headline tour, much to the delight of their dedicated fans, most of which waited over 8 hours to see the lads perform. The Black Country based band came to perform a sold-out show in Birmingham as part of their Unleashed Tour, which comes after the lads supported McBusted and The Vamps only month before. 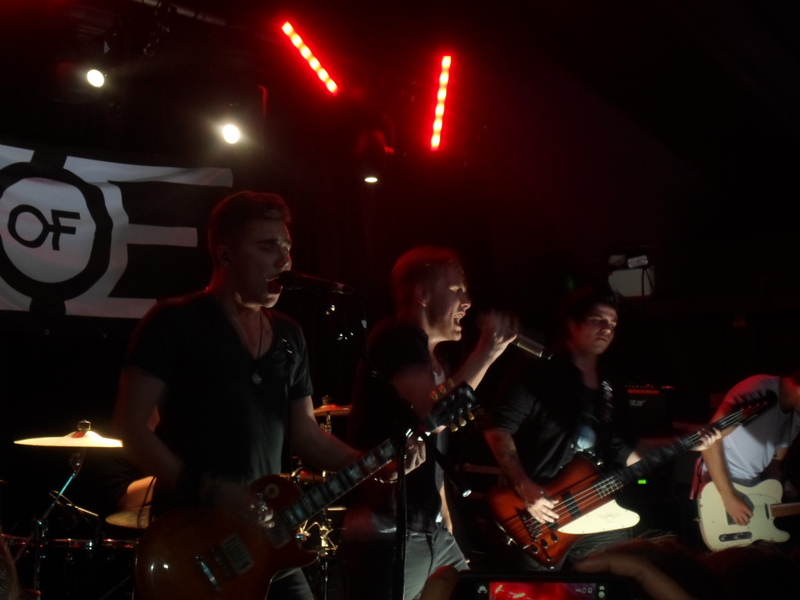 The group, consisting of Luke, Nicky, Tom, Reece and last, but certainly not least Dan (Left to Right), entertained the highly dedicated group of fans in the sold-out, packed venue with a range of original and cover tracks, including ‘If Only Your Boyfriend Knew’ and Adele’s ‘Rolling in the Deep’. However, before the young pop rocks graced the stage with their incredible performance and addicting stage presence, Of Kings and Captains, The Fuse and McFly’s Danny Jones’ sister VIX, all of which wowed the ecstatic crowd with their support sets. The venue became completely deafening when the lads finally emerged on stage, kicking off with their debut single Lust, which reached number eight in the UK rock singles chart. The lads energetic set featured a number of incredible tracks, all of which seemed to be fan favourites, judging by the crowds reactions as they erupted into cheers at the beginning of each track and proceeded to scream the lyrics back to the boys throughout. The incredibly talented band made sure that the crowd were thoroughly entertained with a short rendition of Fall Out Boy’s ‘Sugar, we’re goin’ down’ straight after their lively performance of their own track ‘Kiss me like you mean it’ and a number of other tracks! EofE rounded off their amazing performance with their newest release ‘Bridges’, which is available to download for free on the bands website – So make sure you check that out and download it while you can! We definitely recommend going to see the EofE lads live as they have a bright future ahead of them, with a possible debut album on the way and an already impressive arsenal of tracks; no doubt it’ll be an incredible night much like this one! Brumotions give their performance 4/5 Microphones! 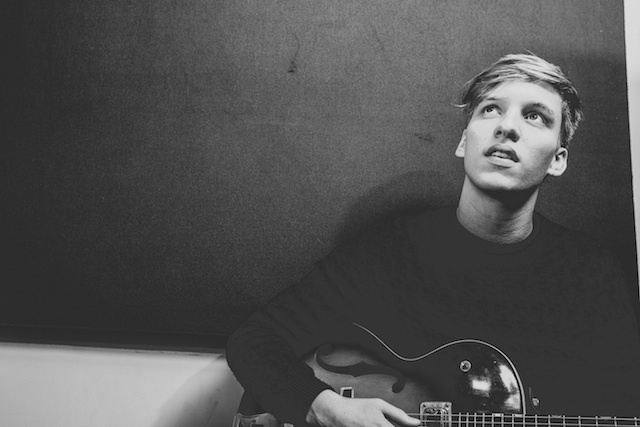 George Ezra announces Autumn 2014 tour! Following the success of his debut album ‘Wanted on Voyage’, which debuted at Number 3 in the UK charts, George Ezra has announced a UK tour, this October! Fans of the new and incredibly talented artist will be able to see the chart-topping lad perform at a number of live shows across the UK, including a show at the Institute in Birmingham on October 25th! However, make sure to get your tickets NOW! As this tour follows previous, sold out tours in both February and June! 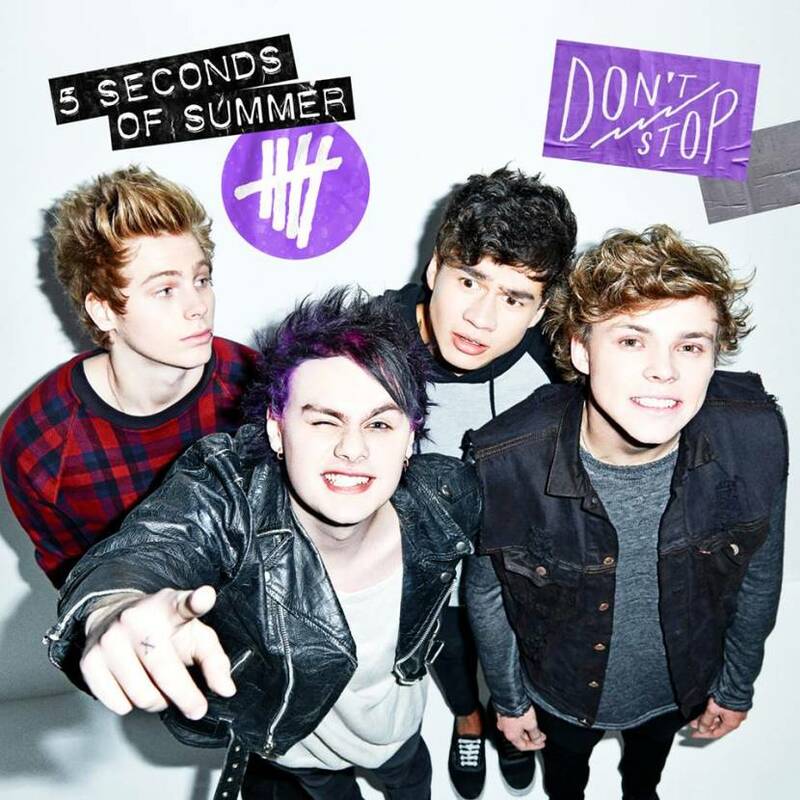 16/10 – Leeds, UK//Met University. 17/10 – Newscastle, UK//Newcastle University. 18/10 – Glasgow, UK//Queen Margaret Union. 20/10 – Manchester, UK//Manchester Ritz. 21/10 – Bristol, UK//O2 Academy Bristol. 22/10 – Portsmouth, UK//Pyramids Centre. 24/10 – London, UK//Shepherd’s Bush Empire. 25/10 – Birmingham, UK//The Institute. 26/10 – Cardiff, UK//Cardiff University Solus.